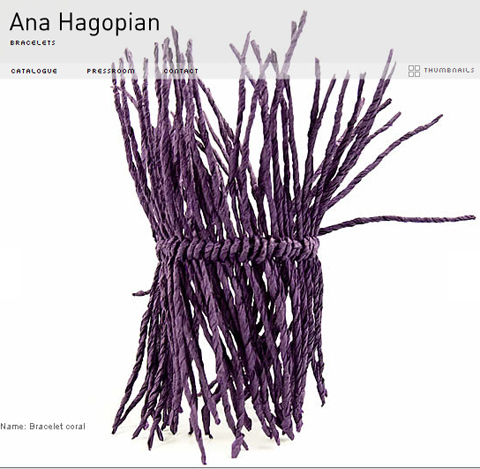 I came across Ana Hagopian’s fabulous website with her awsome jewelry a while ago. To mention it explicitly: I do like the straightforward design of her website (if only it wasn’t all Flash!). 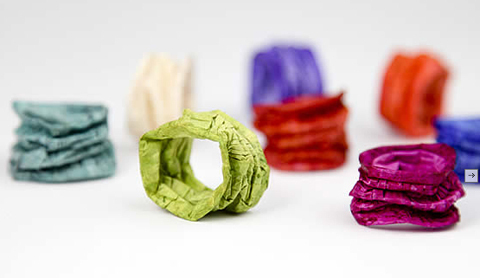 And I like Anas use of different materials – a lot of paper and some handmade paper yarns – to make her range of contemporary jewelry. 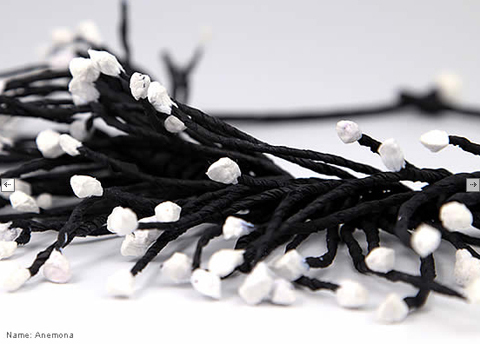 Even though the Acordeon Ring (and Acordeon Bracelet, not shown) aren’t made of paper yarn but “only” paper I really love them. Those vivid colors and sculpture-like form – great! Being originally from Argentina, Ana Hagopian is based in Barcelona where she lives in her “universe” of color, texture and form. I’m also impressed by her varied knowledge of techniques she uses for her pieces. She has travelled widely so I guess that she also time to pick up ideas abroad. 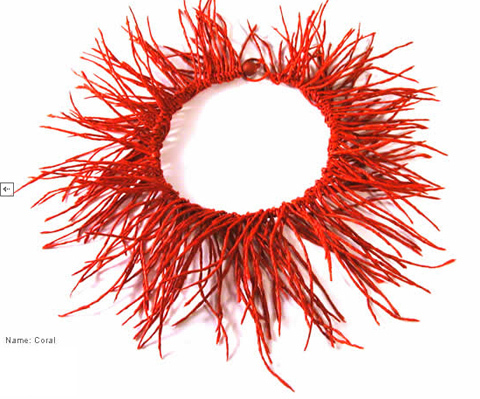 There are just too many fine pieces of jewelry on Ana Hagopian’s website – so I can only suggest you go and have a look for yourself!